Home | Blog | Simon Says Stamp New Dies Blog Hop! 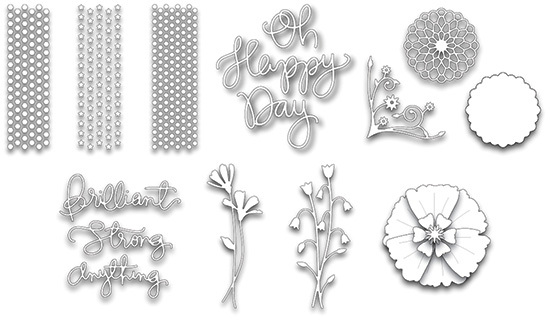 Here at Simon Says Stamp we are so excited to be introducing our new line of dies! And even more excited to bring you a blog hop of some of our favorite papercrafters using the dies. We’re all in for a treat today, and you can join in too! First of all, look at these gorgeous dies! Our new dies are shipping now! See them all HERE. Where to next? Here’s a list of all our hoppers today. If by chance you run into a broken link along the way, you can return here for the list of blogs… There are loads of giveaways along the hop! Jennifer gives the sandwich recipes for wafer thin dies on her blog :) Especially detailed dies benefit from a shims like this metal one.